Calling all procrastinators and last-minute people! It's not too late to register for the IITP 50th Anniversary Conference next week. This is a conference for innovators, entrepreneurs, educators and practitioners offering 8 major Keynotes, 40 presentations, 3 panels, an Innovation Barcamp and a number of workshops. One thing we can promise is it'll absolutely blow your mind. This is no ordinary conference - this is THE ICT event for 2010 - a celebration 50 years in the making: half a century of ICT Innovation in New Zealand. This is a massive milestone and we've got a line-up to match. 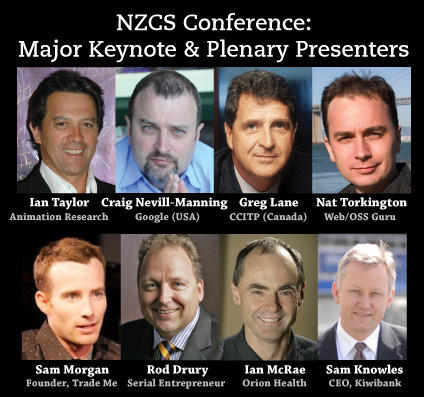 Click Here for full details of the Keynote Speakers. Two international presenters mix with a selection of the country's top ICT innovators to cover all aspects of ICT in New Zealand. Join kiwi Craig Nevill-Manning (the founder of Google's first remote engineering centre in Manhattan, USA) and Canadian Greg Lane (the National Director of the Canadian Council of IT Professionals), along with New Zealand innovative entrepreneurs Ian Taylor (Founder, Animation Research Ltd), Sam Morgan (Founder, Trade Me), Rod Drury (Founder, Xero), Nat Torkington (creator of Kiwi Foo Camp and the Open Govt Project), Ian McCrae (Founder, Orion Health) and Sam Knowles (founding CEO of KiwiBank). 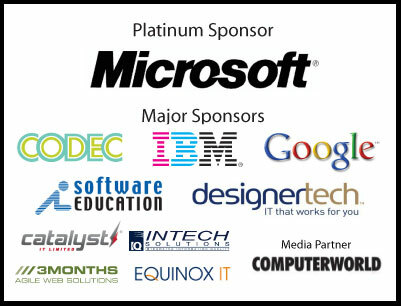 This is just the start, however - with another 32 top-tier presentations, this is an event not to be missed. A number of Workshops are now available on Wednesday 15th September and Saturday 18th September. These workshops are HIGHLY recommended. Note that workshop costs are additional to conference registration. Registrations are open and can be secured below. Registration fee below INCLUDES attendance at the Conference Dinner and Saturday's BarCamp, but does not include workshops. You can register for workshops during conference registration. Accommodation should be booked directly with the hotel, however IITP has negotiated a significant package discount at the venue, with superior rooms from $140 incl GST per night. Full details on accommodation rates and how to obtain this discount are available on the Conference Website. You'll need to book early as the venue's accommodation will sell out fast. Alternatively, there are a number of other hotel and motel options in the area. Please see the conference website at www.innovation.org.nz for more information about this momentous event.